Built in 1893, the Falaknuma Palace in Hyderabad has stood tall on a hillock overlooking Hyderabad for more than a century now. The property, being run as a hotel by the Taj group, is a symbol of opulence. It mesmerizes with its luscious decor and gives a glimpse into the lives led by Nizams. Such is the grandeur of the place that it is easy to feel out of place and even inadequate at times. But the car that brought me here definitely didn’t. If there is one car that can match up to the magnificence of the Falaknuma Palace, it is the Mercedes-Benz S-Class. 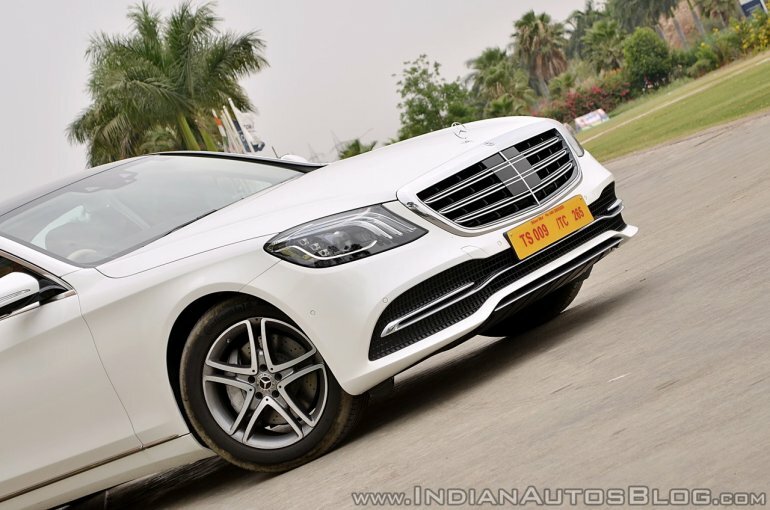 Hailed by many as the “best car in the world” the S-Class sits at the top of the Mercedes-Benz lineup and has been the chariot of choice of the rich and the famous. 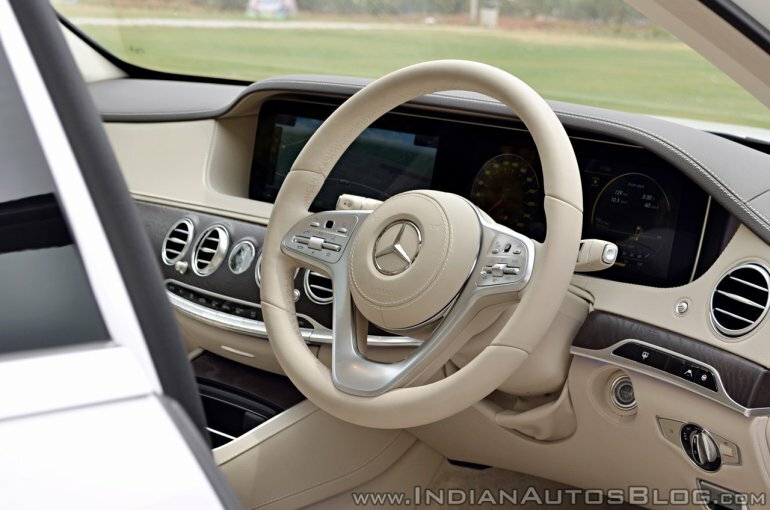 Earlier this month, MBIL launched the 2018 S-Class and in the following paragraphs, I’ll take you through all that’s new. Most will be hard pressed to find changes made to the exterior of the S-Class and rightly so. Mercedes has not fiddled with the appearance much. The only notable changes are new headlamps with full LED lighting and a new DRL signature, new crystal-look tail lamps, reprofiled bumpers and a new grille with split horizontal chrome louvers. Also on offer are new 5-spoke alloy wheels. Inside, there are two new high-resolution 12.3 inch displays housed under one shared glass cover. The fully digital cockpit lets the driver choose from three different display styles ("Classic", "Sporty" and "Progressive") and also configure the information and views relevant to them at will. 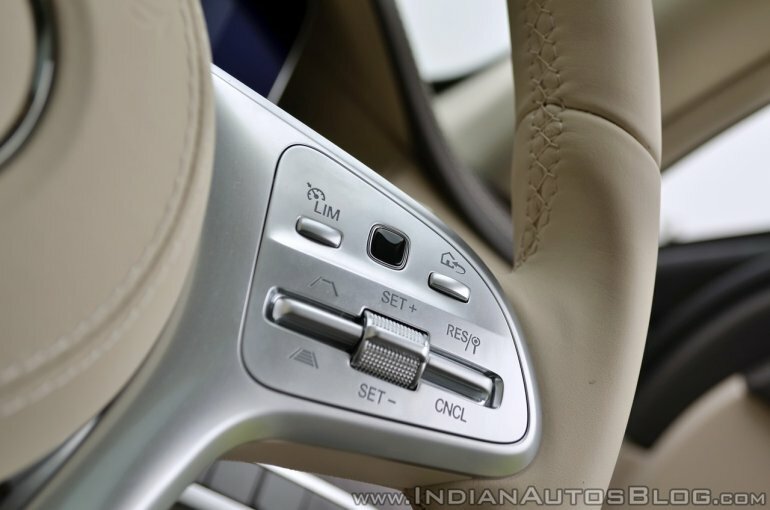 Mercedes has equipped the S with a new steering wheel with touch-sensitive Touch Control buttons. Like your smartphone, they respond to swiping motions and let the driver navigate through the all functions of the infotainment system. Nifty feature this as it ensures the driver can keep his/her eyes on the road at all times. In case you prefer more conventional methods or your co-passenger wants access, then the infotainment system can also be operated via the touchpad with a controller in the centre console. As always, the sumptuous cabin has been draped in the finest quality leather. The tasteful open-pore wood complements the Silk Beige/Espresso Brown treatment rather well. For India, Mercedes is offering that or black as the two upholstery options. Elevating the luxury quotient, especially once the sun sets, is the ambient lighting, which lets you choose from as many as 64 colour options. That the 2018 Mercedes S-Class has in spades. 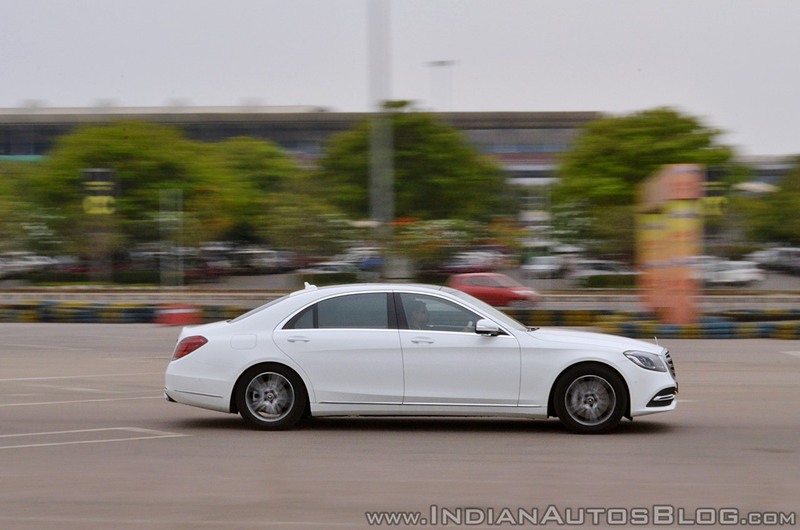 It comes equipped with radar-based safety systems – a first for Mercedes-Benz in India. It takes a major step towards autonomous driving. Merc’s Active Distance Control DISTRONIC and Active Steering Assist combine together to maintain speed and distance between the vehicle(s) in front. And, it even helps keep the car in the lane through bends without any steering input from the driver. Despite the car taking control of the steering wheel partially, the driver needs to, or rather, should keep his/her hands on the steering wheel. Failure to do so will engage Active Emergency Stop Assist. This particular assistance feature brakes the vehicle to a standstill in its lane if it detects that the driver is no longer actively driving the vehicle while it is on the move. In case of lack of steering wheel movement over a predefined period, the system gives the driver a visual and audible prompt to place his/her hands on the wheel. If it does not detect a response in the form of steering wheel movement, throttle input, brake application or pressing a Touch Control button on the steering wheel, the car will be slowed down to a standstill. It will turn on the hazard lamps to warn oncoming traffic and activate the Mercedes-Benz emergency call system. The vehicle is also unlocked, to allow first responders access to the interior. The functions are aborted as soon as the driver takes control of the vehicle again. So, bear this in mind before you decide to take your hands off the wheel when you’re showing off to your friends. Mercedes-Benz was kind enough to give us a demo of all the key safety and driver assistance features. All that technical wizardry on board the 2018 Mercedes S-Class enables it to follow vehicles in a tailback, which can come in handy in in stop-and-go traffic. The S-Class automatically moves off and follows the traffic ahead. Active Braking Assist comes to the driver’s aid in scenarios that can potentially lead to mishaps in the form of audible warnings when a danger of collision is identified, autonomous emergency braking to avoid a collision with moving stationary or crossing vehicles ahead, autonomous emergency braking for pedestrians, and situation-related braking assistance as soon as the driver applies the brakes. That’s not all. Evasive Steering Assist can support the driver in taking, as the name suggests, evasive action when pedestrians are detected in the danger zone in front of the vehicle. The assistance is provided in the form of additional steering torque, but only if the driver initiates such action. Active Lane Keeping Assist warns the driver by means of pulsed vibrations at the steering wheel when the vehicle is unintentionally drifting out of its lane. Active Blind Spot Assist provides a visual alert plus an audible alarm when a turn indicator is actuated, to warn of a danger of side collisions with other vehicles. At 5,255 m long, the S-Class is a rather large car. A fact that is amplified by conditions specific to India where space is at a premium. Active Parking Assist supports the driver in searching for a parking space and when entering or leaving parallel or end-on parking spaces. In addition to the operation of the accelerator and brake, changing gear is also carried out automatically. The car will also pull itself out of the parking spot on its own. Nifty, I say. At this point, usually, I would move into the driving characteristics and performance aspects of the car. However, since the S-Class is primarily going be chauffeur-driven, I figured it would be more relevant to talk about the back seat experience. It goes without saying that the rear seat is supremely comfortable. Adding to soft cushiony goodness are multiple massage functions, which can be operated using the remote provided. Long pressing a tiny button next to the seat control reclines the seat to the max, pops out the leg support and pushes the co-passenger seat all the way forward to give you a close to a business class experience. Mercedes has chosen, rather disappointingly, to not offer the S-Class with Magic Body Control. Nevertheless, the ride quality is close to faultless. Most imperfections are ironed out effortlessly ensuring you catch some much-needed shut-eye after cracking multi million dollar deals or whatever business owners get up to. However, the softly sprung suspension setup, over undulating surfaces especially, makes the car wallow. It is not uncomfortable, but all that movement about the Y-axis does warrant the need for a bit more stiffness. There were instances when my colleague and I found the suspension setup in ‘Sport’ mode better suited to certain roads. In case you don’t mind getting behind the wheel of your S-Class once in a while, you’ll be happy to know that it isn’t too shabby to drive. Far from it, in fact. 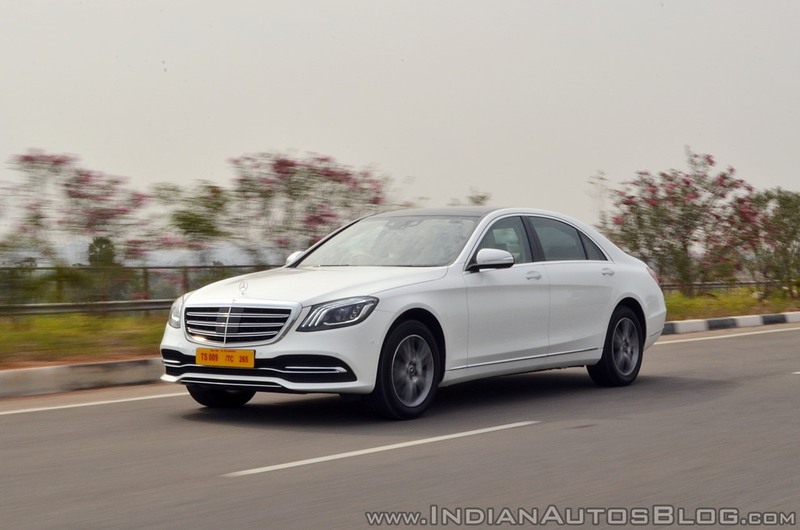 The S350d, the one I drove, comes with a new inline 6 cylinder diesel engine generating 286 bhp and 600 Nm. Drive is sent to the rear wheels via a 9-speed transmission. This particular engine is a significant step forward in India’s march towards lowering pollution levels as it is the first engine in India that complies with BS-VI emissions norms. Full marks to Mercedes-Benz for taking initiative. The clever bit here is the fact that the engineers, since BS-VI fuel is unavailable in the country, have tuned it to run on BS-IV grade fuel. Despite weighing north of 2 tonnes, the S350d can sprint from 0 to 100 km/h in just 6.0 seconds. That is truly impressive. 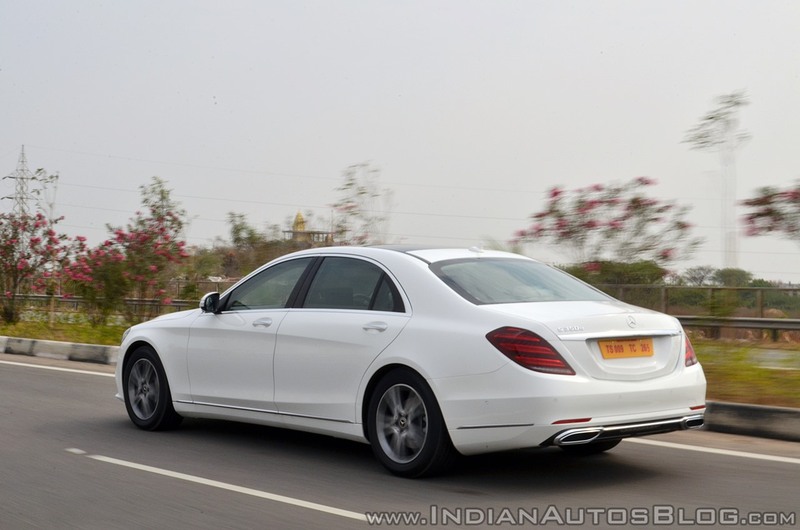 Being an S-Class, and that too the non-AMG variant, the car is more suited to relaxed cruising than keen driving. And I don’t take any issue with that because relaxed is what it is meant for. Gear changes, for the most part, are slick without any signs of hesitation from the 9-speed transmission. You get paddle shifters in case you or your chauffeur prefer taking charge of the gearshifts. Unlike the rear seat occupants, the ones in the front don’t get cooled seats or massage function. They do, however, get heating functionality, but India’s general climatic conditions hardly warrant the need for that. With the front passenger seat in its forward most position, which can be achieved with a button accessible to the rear seat occupant, the driver’s view of the left ORVM gets blocked. It can get a bit unnerving, especially on busy roads. 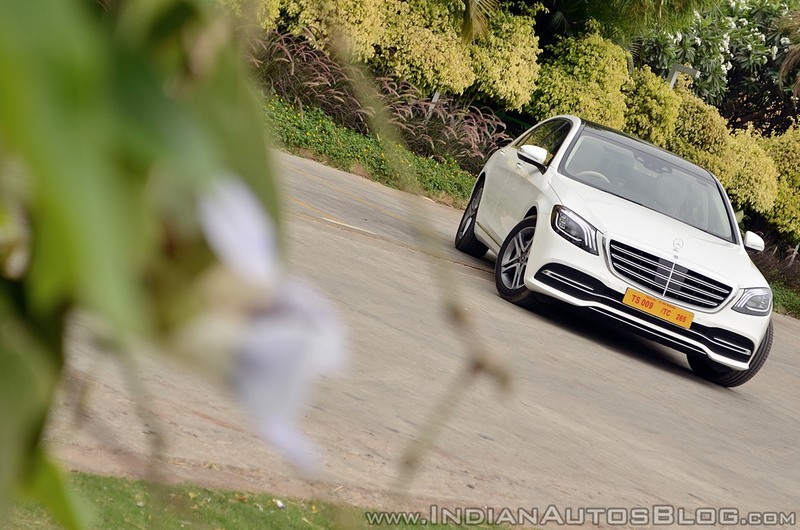 The Mercedes-Benz S 350d is priced at INR 1.33 Crore (ex-showroom). For that money, you get a rather well-crafted cabin, a stellar rear seat experience, an array of safety and driver assistance technologies, and the bragging rights to owning the first made in India BS-VI compliant car. The NVH levels are exemplary and despite all that bulk, it is still fairly quick. I do take issue with a few albeit minor things, though. As a customer, at this price point, I would’ve have preferred a healthier list of customisation options. Black and Silk being/Espresso Brown (pictured) are the only upholstery options Merc offers. There are only five exterior shades to choose from, and a sole 5-split spoke 18-inch alloy available. Mercedes-Benz has also chosen to omit a request sensor for keyless entry on the door handle(s) and a physical button to electronically shut the tailgate. But you will get your chauffeur to take care of all that, I suppose. Notice how I have not been able to pinpoint any real flaws with the 2018 Mercedes-Benz S-Class so far? Well, that, I feel, answers this question, doesn’t it? 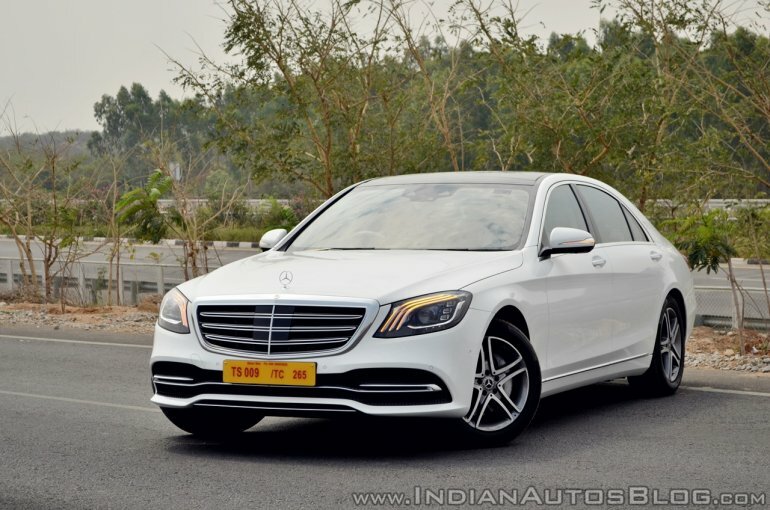 If you’ve got about a crore and a half to spend, then I strongly recommend the 2018 Mercedes-Benz S-Class. It is unquestionably one of the best cars in the world, if not the best.